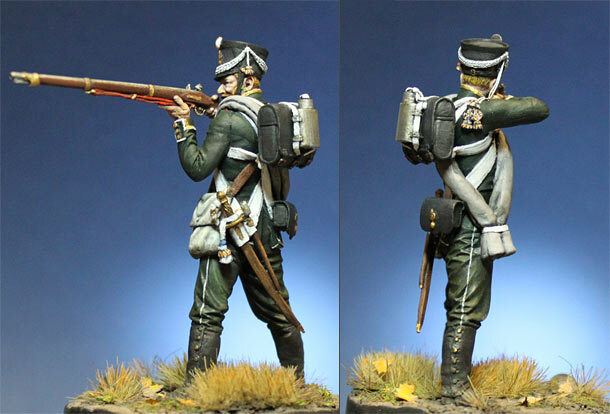 Russian NCO, 2nd musketeers company, 1st battalion of 1st Marine regiment, mid October 1812. Figure by Сhronos Miniatures (sculptor M.Osipov) with some alterations. Acrylic and tempera paints.